← What’s Up with the Pinterest Poop Pictures? Cut it Out! 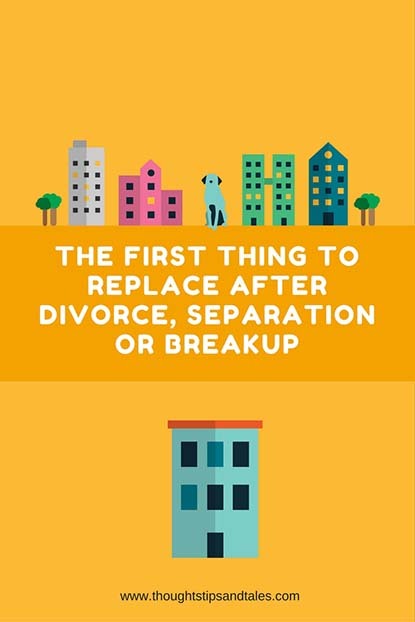 The days and weeks after a divorce, separation or breakup with a long-time lover can be filled with sadness. Many things you see, do and hear will bring back painful memories and stir up feelings. The one thing to replace after divorce, separation or breakup, for peace of mind and a quicker return to the land of the living — is the bedding that you used with your ex. Otherwise, when you get in and out of bed (and make it and unmake it), walk by it, and lie there through sleepless nights, they’re a constant reminder of the person who’s now gone and the comfort, conversations and intimacy you shared in the past. Your finances might be tight (or practically negligible, as mine were as an at-home mom when my ex-husband and I split), but it’s important to find a way to do this — the sooner, the better. Ask family and friends for a set of sheets or a gift card to a bed and bath store for the next special occasion or save $5 a week til you have enough; do whatever it takes. I didn’t buy new sheets when I was separated and divorced because I’d recently lost everything in a hurricane shortly before in addition to being an at-home mom with no job and only child support to live on — but honestly, every time I glanced at the bed for years afterwards, it was heart-wrenching. When I finally did buy just one new set of sheets, it was like the light went on that this was my own house, my own bed (bedding and all) and my own life. It was very empowering! I did buy new bedding shortly after the end of a long-term relationship, and it was the best thing I could’ve done. It’s a small thing, but new sheets really help to get over your grief and get on with your life. Online Dating Horror Story #7: You Live WHERE? Online Paper Bag Speed Dating: Would You Do It? This entry was posted in divorce, How to, life, miscellaneous and tagged breakups, divorce, gift to buy a friend after a breakup, helping friends through a divorce, supporting friends through a breakup, what to buy after a breakup, what to buy after a divorce, what to get rid of after a breakup, what to get rid of after a divorce, what to replace after a divorce. Bookmark the permalink. Well, the first thing I would replace is her photo in the photo frame.